A deceptively spacious mid terrace property which has benefited from significant modernisation. We are delighted to bring to the rental market a large red bricked, three storey dwelling in the beautiful 'tree lined' Ainsworth Avenue area of West Belfast. The property comprises of a spacious hallway, front reception, brand new fitted kitchen, utility room, brand new 3 piece bathroom suite and three well proportioned bedrooms laid out over two floors. 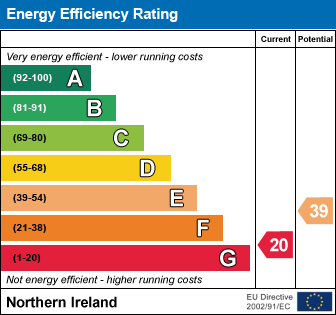 The dwelling further benefits from gas fired central heating and uPVC double glazed windows. Ainsworth Avenue is located just minutes from a wide range of amenities including Ballygomartin Tesco, Woodvale Park and the many shops on the Shankill Road. The area also shares excellent transport links with Belfast City Centre. Large properties such as this are extremely rare to the rental market and for this reason early viewing is strongly recommended to avoid disappointment. 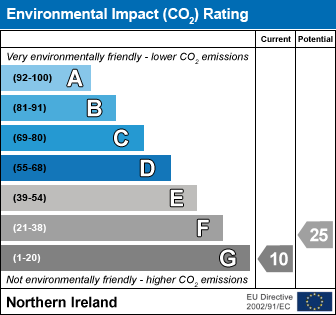 NB - The current EPC does not take in to account the significant upgrading of the property including new double glazed windows and gas heating system. Check out the property I found on PropertyPal.com: 19 Ainsworth Avenue, Belfast BT13 3EN.